The government violated federal labor laws when it delayed payments to employees during last year’s shutdown, a federal judge has ruled. U.S. Court of Federal Claims Judge Patricia Campbell-Smith denied on July 31 the federal government’s motion to dismiss a lawsuit originally filed by five Bureau of Prisons employees. 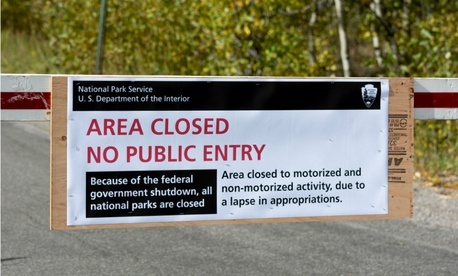 Those workers sought damages after they were forced to work during the two-week shutdown in October 2013, but did not receive their full paychecks until federal agencies reopened. The judge ruled the government was in violation of the 1938 Fair Labor Standards Act when it delayed payments for hours worked between Oct. 1 and Oct. 5 to most of the 1.3 million employees forced to report during the shutdown. Campbell-Smith rejected the workers’ claim that even employees designated as exempt by the FLSA -- such as teachers, nurses and high-level managers -- were entitled to damages. She also said employees who earned more than the weekly minimum wage of $290 from their paycheck by working that week before the shutdown -- Sept. 29 (a Sunday) and Sept. 30 -- were not treated in violation of labor laws. The judge instead offered sympathy for those affected. Campbell-Brown did not rule whether the plaintiffs were entitled to “liquidated damages,” or financial compensation, from the federal government. Plaintiffs are seeking compensation of $7.25 -- the federal minimum wage -- times the number of hours worked between Oct. 1 and Oct. 5, the period in which paychecks were delayed. This amounts to $290 for employees who worked 8-hour days, plus any overtime they are due. Unlike furloughed workers, employees who reported to work during the shutdown were guaranteed retroactive pay. However, the plaintiffs in Martin et. al. v. The United States argue because the excepted workers faced hardships during the shutdown, such as an inability to pay bills on time, they should receive extra compensation. The court decided to give the government more time to prove it is not liable to provide financial compensation to the plaintiffs. It also gave Uncle Sam until Sept. 2 to contest the plaintiffs’ claim the case should be certified as a collective action. Mehri & Skalet previously filed a motion to send a notice to all federal employees who worked during the shutdown, explaining their eligibility to join the lawsuit. The court will rule on that motion now that it has rejected the government’s motion to dismiss.